As a researcher, mechanical engineering professor Robert Altenkirch has spent time studying combustion and radiative heat transfer in flames. Now, as president of the New Jersey Institute of Technology (NJIT), he’s working with another kind of heat–the political hot seat. And he loves it. “I like organizational management and moving an organization forward in a particular direction,” Altenkirch says. “The higher you get, the more politics are involved, which is quite fascinating,” The NJIT position, which he assumed in 2002, allows him to solve problems, set goals, lobby for funding, and work on economic development projects with the city of Newark. Born and raised in St. Louis, Missouri, Altenkirch excelled as an athlete in high school, where he played football and baseball, wrestled, and set track records in sprint events. He played freshman baseball at Purdue but quickly learned that in order to do well in the classroom, he would need to apply himself–a realization prompted by a note he received on a test in an accelerated math class that suggested he might consider a different course of study. “I realized there were a lot of smart people around and that I would need to work harder,” he says. Altenkirch enrolled in the School of Mechanical Engineering, where he was drawn to the field of thermodynamics. As an undergraduate, he did independent work with professors Arthur Mellor and Sigmar Wittig at the Thermal Sciences and Propulsion Center (now known as Zucrow Laboratories) and focused his studies on combustion. After earning a master’s degree at the University of California, Berkeley, he returned to Purdue for a doctorate in mechanical engineering, studying gas–turbine air–pollution–reduction techniques under Mellor. With degree in hand in 1975, Altenkirch joined the ME faculty at the University of Kentucky, where he remained for the next 13 years, the last four spent as chairman of the department. He enjoyed that experience and decided to seek out a dean’s post, which came his way in 1988, when Mississippi State University appointed him dean of its College of Engineering and professor of mechanical engineering. “Mississippi was a good opportunity to grow the research program and private fundraising effort, which was in its embryonic stage,” he says. He stayed for seven years, then moved to Washington State University as dean of the College of Engineering and Architecture. Three years later, he returned to Mississippi State as vice president for research. This time, he worked with the university’s new president on a vision of growth founded on economic development and collaboration with elected officials. The New Jersey Institute of Technology has about 8,200 undergraduate and graduate students. It has historically been a commuter campus, but that’s now changing. Altenkirch feels strongly that the home institution in the state’s largest city needs to be residential and provide the experiences associated with a residential campus, and he has pushed it in that direction; 50 percent of the freshman class now lives on campus. Since taking office, Altenkirch has led NJIT on a journey of physical, academic, and economic growth. 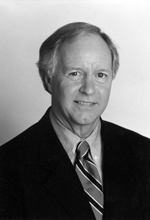 He has completed a building program begun by his predecessor, improved campus landscaping, fostered more effective alumni and donor relations by building an alumni center and initiating special–purpose fundraising campaigns, and developed a strategic plan for 2004–2010 using a top–down, bottom–up process. He has introduced new programs in industrial design, bioinformatics, and mathematical biology. And he has extended the institution’s reach through community engagement designed to move Newark forward. Among the many community positions Altenkirch holds is chairman of the board of the Newark Downtown Core Redevelopment Corporation, a nonprofit established to oversee a $1 billion–plus downtown redevelopment project including an arena that will be home to the New Jersey Devils of the National Hockey League, a conference hotel, and more. He was also a member of the Governor’s Blue Ribbon Commission on Transportation; is a member of the Amistad Commission, which oversees implementation of legislation establishing the integration of African–American accomplishments into the mainstream of the state’s K–12 education; and is chairman of the board of University Heights Science Park, which is developing a mixed–use science and technology park next to the NJIT campus.